You will notice that you have doubters or lack of support from many that you care about. You also will notice that you get more love and support from strangers. Can this hurt your feelings? Of course it can but you MUST keep going. As the saying goes “the dream is free, the hustle costs”. 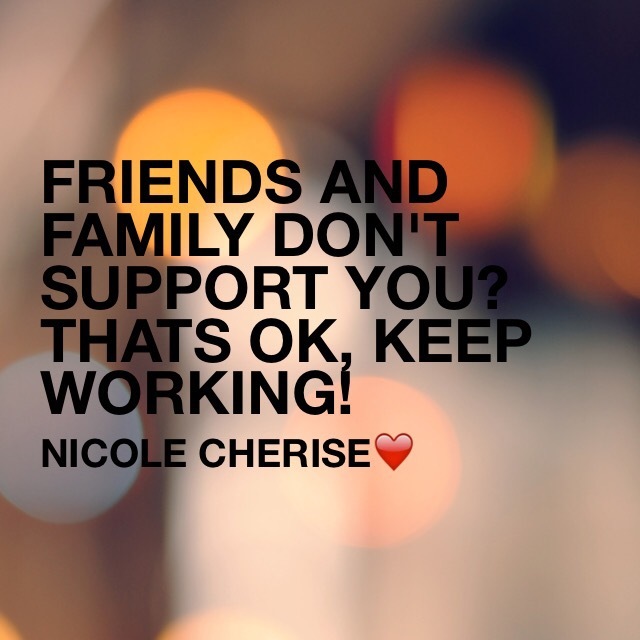 Don’t let lack of support, stop you from meeting your goals. Is it a hurdle? Yes, but if you worry about self, you will achieve it. Good luck to you, keep grinding.